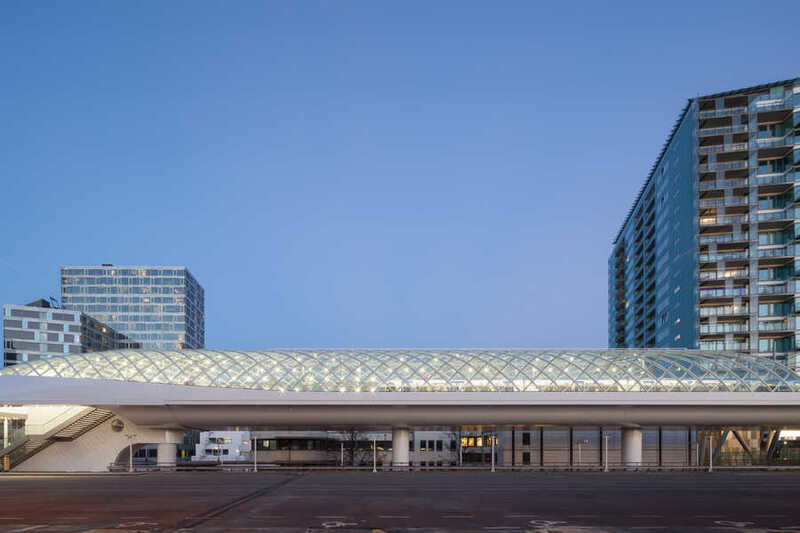 With the number of passengers increasing significantly in the coming years, a separate lightrailstation, a design by ZJA Zwarts & Jansma Architects, has been constructed next to The Hague Central Station to increase capacity and create more space for train traffic. 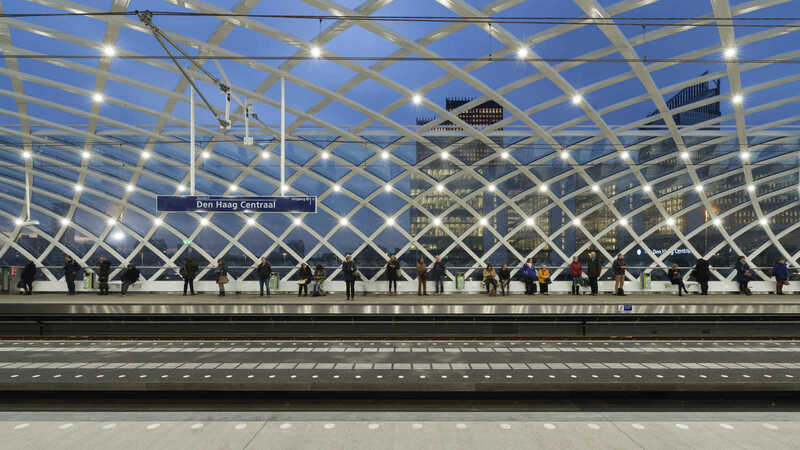 The lightrailstation has given The Hague a spacious and recognizable station where travellers can travel easily and quickly between the cities of The Hague and Rotterdam. 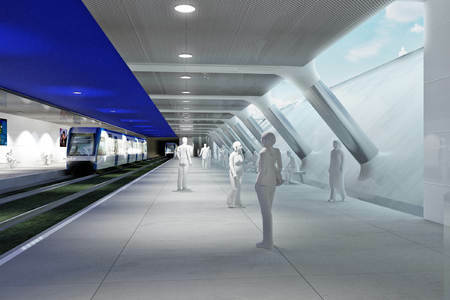 The showpiece of the station is the roof of the platforms, which consists of curved glass and steel. 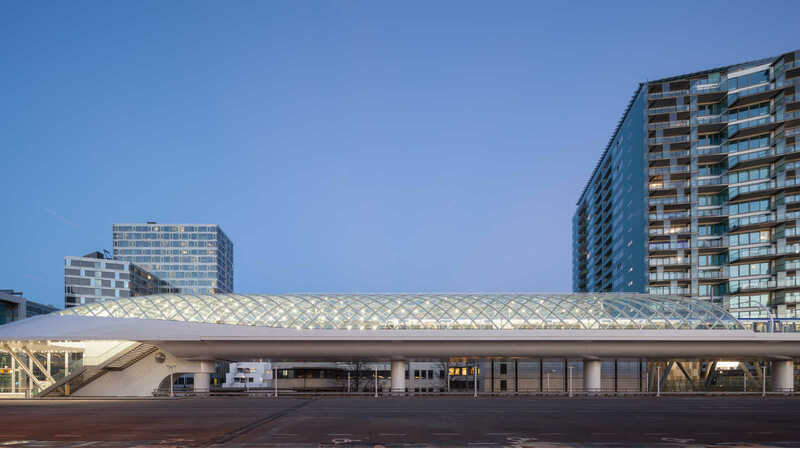 A covered walkway in the shape of an expressive canopy connects the new column-free lightrailstation with the main hall of The Hague Central Station. 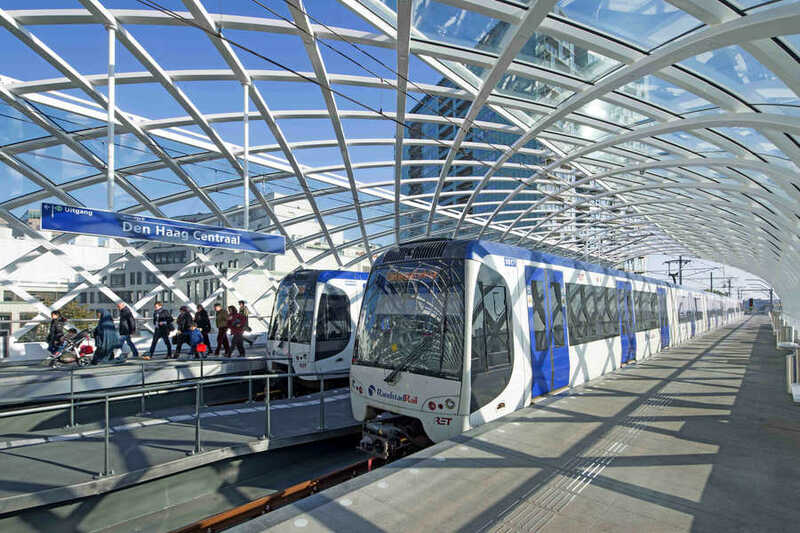 The light rail vehicles (LRVs) stop close to the main hall of the NS station, the canopy of the stop extends so that travellers can transfer quick and dry from the lightrailstation to The Hague Central Station. 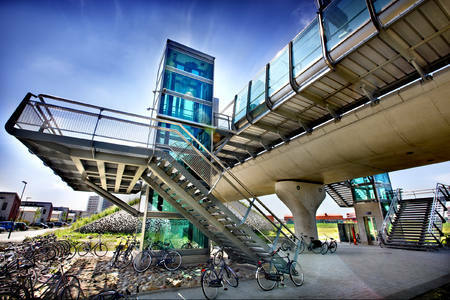 The station is located along the verge of the bus platform and high above the Anna van Buerenstraat. 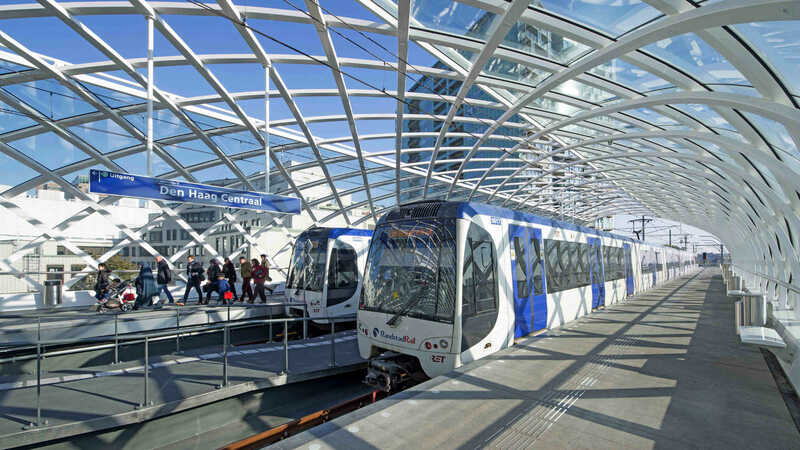 The tracks arrive at the station via a long viaduct that carries the LRVs to the station at more than twelve meters above ground level. 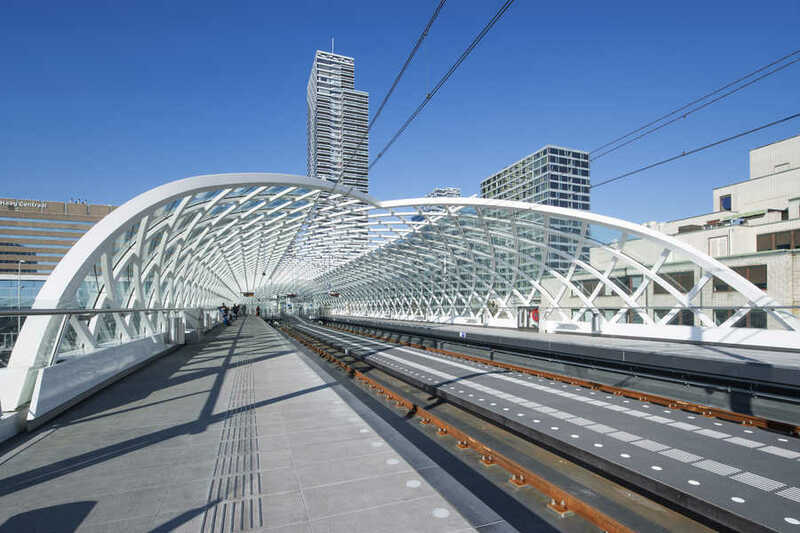 To minimize the impact of the approaching LRVs on its surroundings, and in particular the residential area Bezuidenhout-West, the design of the viaduct has been given a slender look. 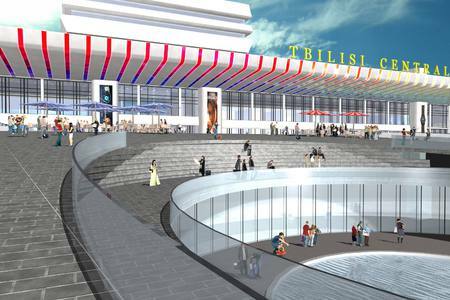 This has been achieved by means of a steel structure that enables a large span between the columns. As a result its spatial impact at ground level is reduced and restrictions in the view of surrounding residents are minimized. Moreover, the slender construction has a minimal impact on the urban environment. 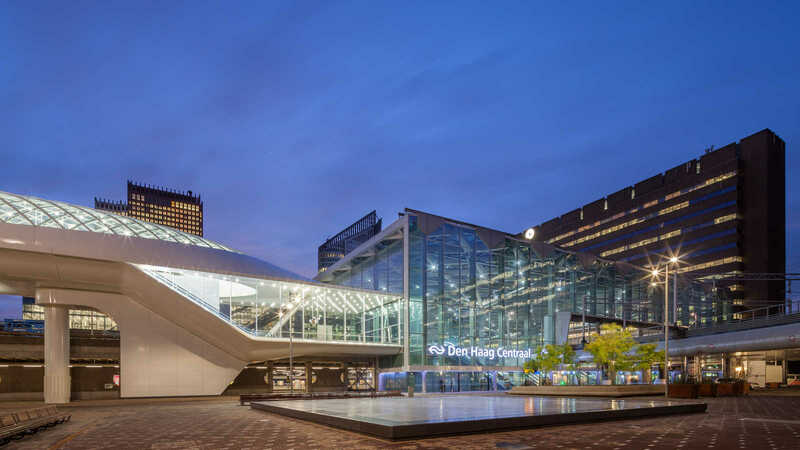 The transparent roof of gives the station a spacious appearance that provides recognisability and comfort for waiting travellers. 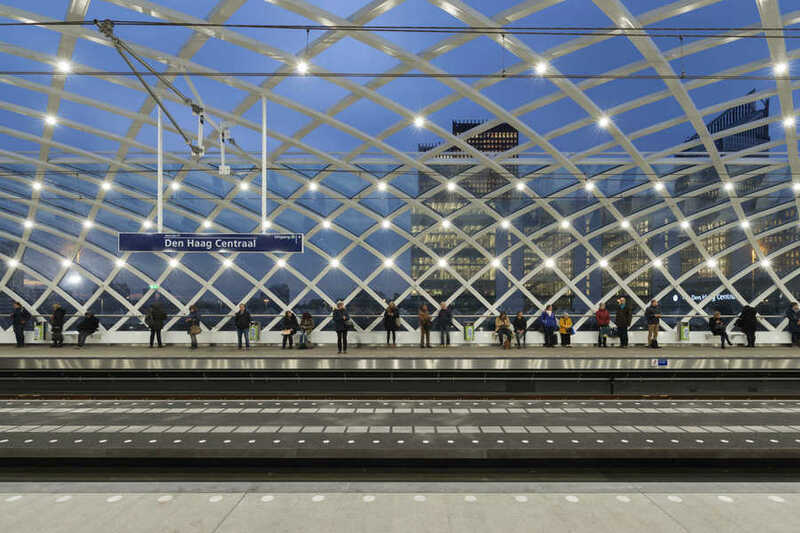 Due to the sculptural shape of the roof and canopy, a striking lightrailstation has been created that takes the human scale well into account. 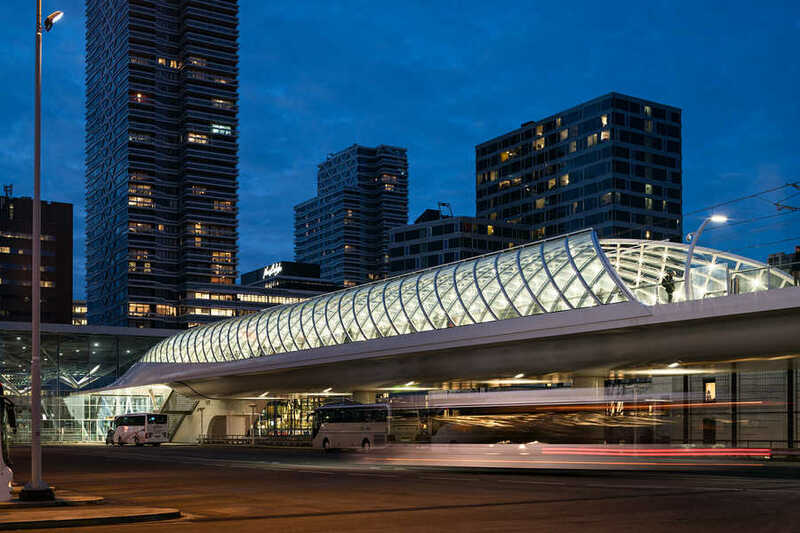 At the same time, the station stands firm between the surrounding mega-complexes and draws attention to its urban context. 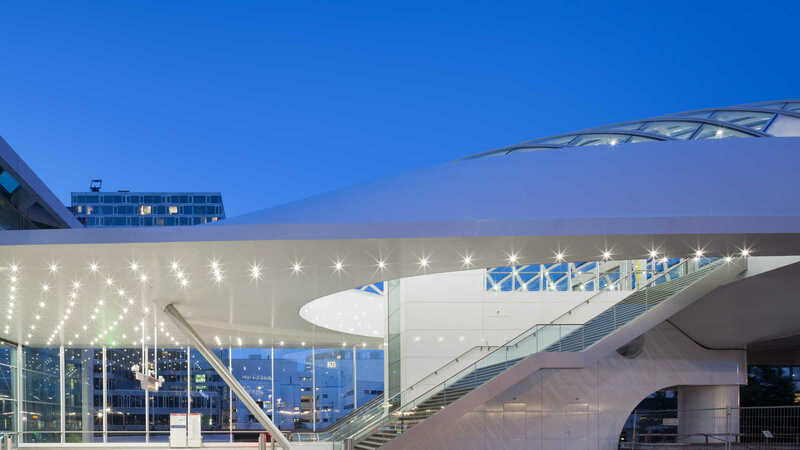 ZJA together with Knippers Helbig developed the design of the spatial roof structure with a parametric design model that generated and analysed the structure while providing geometrical and structural optimization. 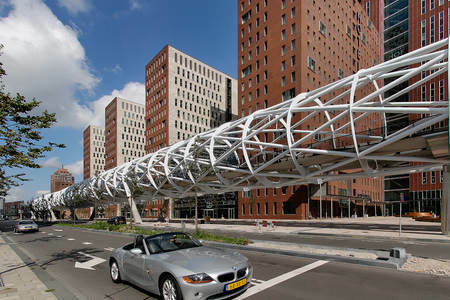 The outcome of this optimization allowed for the use of single-curved and cold bent glass that was installed in-situ. The detailed parametric study has led to an optimal economic design and minimal use of material by using a genetic algorithm. 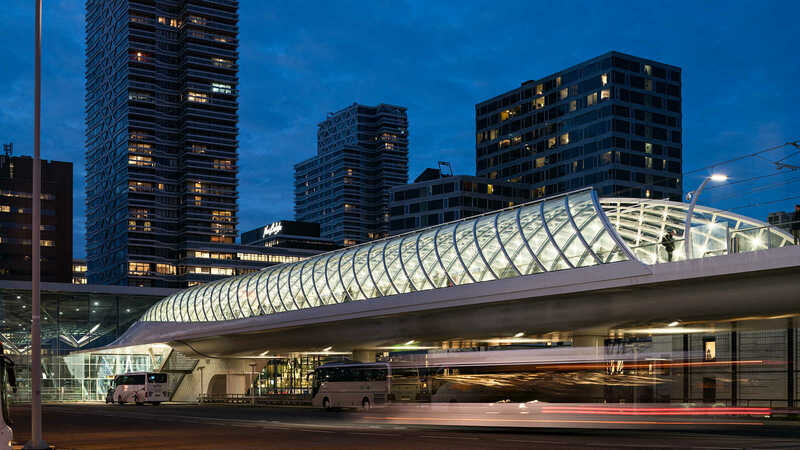 With the lightrailstation, The Hague has been given a spatial and recognizable station with its own unique architectural identity that offers passengers an attractive and modern public transport transfer. 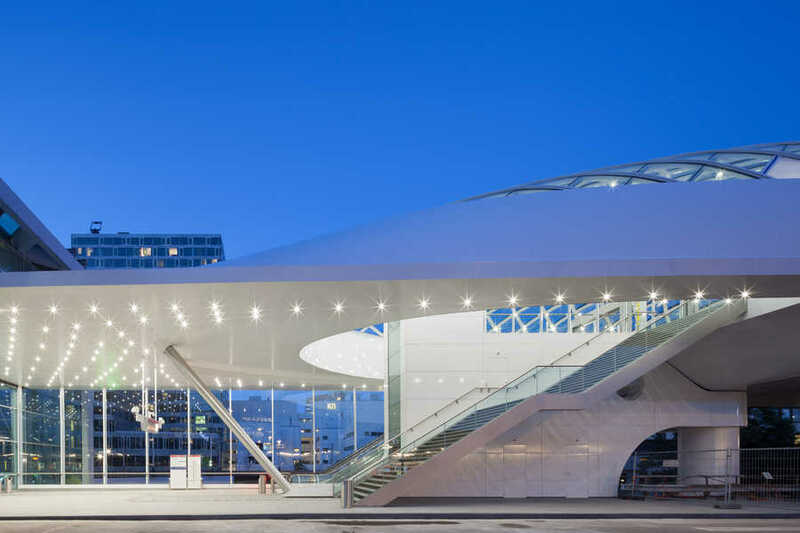 The station has an elegant design and a striking awning where travellers can easily find their way. 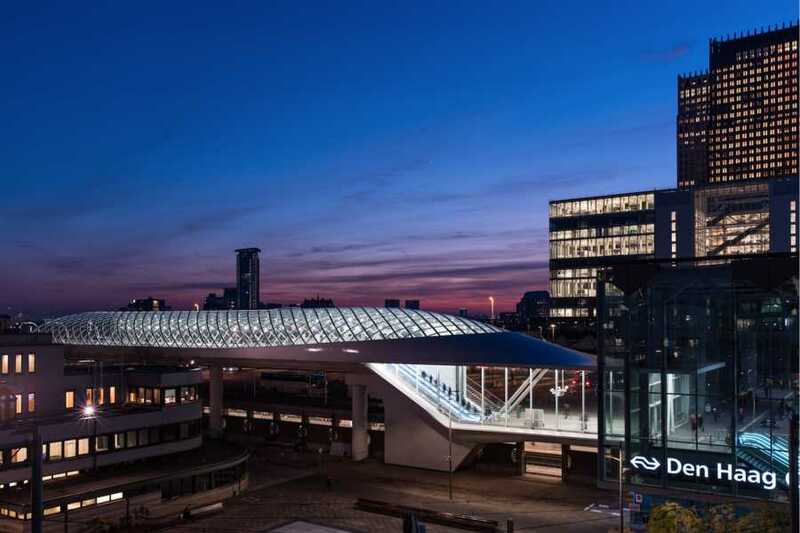 The station has become an icon for The Hague and has contributed to its international recognition. 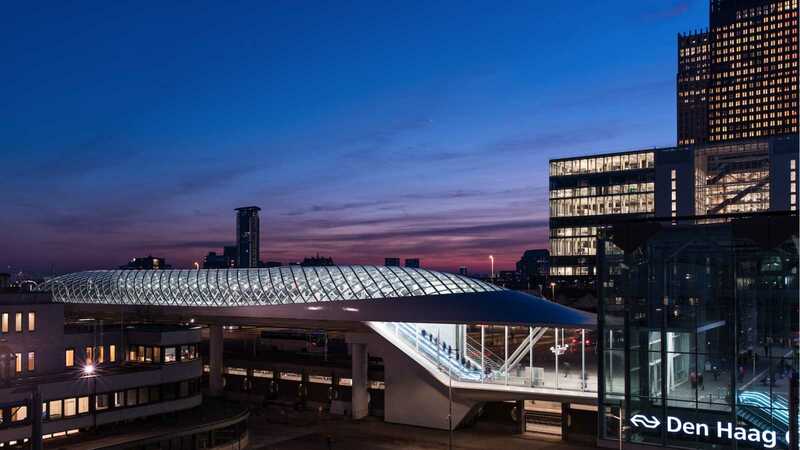 The lightrailstation has transformed the former, gloomy rear of The Hague Central Station into an attractive entrance to the city of The Hague. 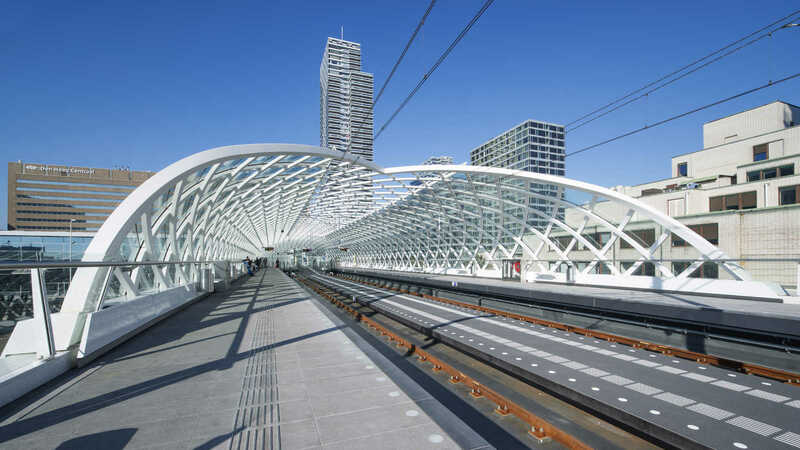 The construction of the lightrailstation was managed by ProRail, commissioned by the municipality of The Hague, with contractor BAM Infra NL building the new station.